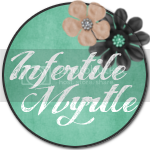 The Infertility Overachievers: FINALLY HOME! Wow, I can not believe it is already the middle of September. The last two weeks have been a blur. In the last two weeks I have only been home for three nights. THREE NIGHTS!! My bed has never felt as good as it did last night. I'm not traveling again until Christmas, so if any of you would like to see me before then you will just have to come visit me. We had a blast at both weddings but we are both thrilled to have some much needed down time. My house is a WRECK, everything is still packed, we have no food, and my to do list is about twenty miles long. 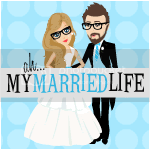 I have about a million things to do so this blog post is going to be short and sweet. Here is a random update on the last two weeks. London is doing really well in his new toddler bed. My sister actually bought him one of these today. She got him the toddler bed size (not the twin) so his crib mattress will fit into in. He is going to LOVE it! Last but not least I will leave you will a little cuteness! Glad you're back! I can't wait to hear where you ate in Chicago! Looks like you guys had fun! I can not believe how big Mr London is getting and his hair....I LOVE IT!! Wow - busy busy! Enjoy getting settled back into the house. :) I know what you mean about sleeping in your own bed after being gone so long, it's like a huge hug. Welcome home! I love your friend's dress and little veil! It looks like you've had a great time on your travels! Welcome back!